The history of the Iranian People’s Mujahedeen is bloody, turbulent and tragic, their method is controversial and their ideology is full of contradictions. No Iranian opposition group polarizes like them, no one has so many critics, but no such prominent supporters. For a long time, the People’s Mojahedin have had powerful advocates in the West, but since they have three sympathizers in the White House with Security Advisor John Bolton, Secretary of State Mike Pompeo, and Trump lawyer Rudy Giuliani, the question of what role they play in Washington’s Iran policy is raised , And if they really are the right ally. “The mullahs must go, the ayatollah must be replaced and replaced by a democratic government of Maryam Rajavi,” Giuliani called last June at the annual meeting of the People’s Mojahedin in Paris. In the front row, Maryam Rajavi sat smiling in her green headscarf and has been leading the group for decades, making herself the “elected president.” “The [regime’s] behavior and goals [in Tehran] will not change, so the only solution is to change the regime itself,” Bolton thundered a year earlier in Paris. Officially, President Donald Trump’s sanctions policy against Iran aims to force Tehran to “compromise” its nuclear program, abandon its missile program, and withdraw from Syria, Iraq, and Yemen through “maximum pressure.” Falcons such as Bolton and Pompeo, however, suspect that they are in fact not about a policy, but about a regime change. And that they have given the People’s Mujahedeen a central role in overthrowing the regime in Tehran. The Mujahedin-e Khalq (MEK) was founded in 1965 by students from the University of Tehran as a city guerrilla to fight the authoritarian Shah regime. Influenced by Marxism and a revolutionary interpretation of Shiite Islam, they developed an idiosyncratic left-wing Islamist ideology. Although the founders were quickly arrested and executed, under the leadership of Massud Rajavi, the group continued its armed struggle and played an important role in the 1979 revolution to mobilize the masses. After the fall of the Shah, the MEK initially supported the regime of Ayatollah Khomeini, but when in 1980, the left President Abolhassan Banisadr wanted to appoint the MEK leader Rajavi as Prime Minister, it came to the Clash. Mass protests by the People’s Mujahedeen were suppressed, and the group had to go underground while Rajavi and Banisadr fled to France. In the following months, the MEK killed dozens of members of the political elite in attacks, while the regime executed thousands of its followers. The Iraqi dictator had offered his help to the MEK when Rajavi and his supporters had to leave France in 1986. Saddam Hussein gave them several camps on the Iranian border, equipped them with tanks and sent them to the front against Iran. When Tehran and Baghdad agreed a ceasefire in 1988, the People’s Mojahedin launched a final attack in the hope of triggering a popular uprising in Iran. 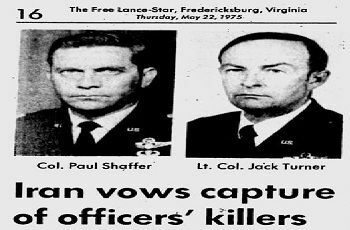 But the offensive became a disaster, and in retaliation, [Ayatollah] Khomeini executed thousands of captured MEK followers. Because of its role in the Iran-Iraq war, the group is now “more hated by Iranians than al-Qaeda and ISIS,” says Iranian expert Adnan Tabatabaei. Since 1981, the group has been using the fine-sounding name National Council of Resistance (NCRI), but the council is completely dominated by the MEK. Although the MEK had spelled out the cause of their flight to France as democracy, freedom and human rights, that was above all rhetoric. “It is fatal to believe that such a group could positively influence the political process in Iran,” says Tabatabaei. Supporters of the group, of course, see it differently. Former French Foreign Minister Bernard Kouchner in 2014 called MEK in Paris “an example of the entire Middle East” because of its commitment to separate politics and religion. 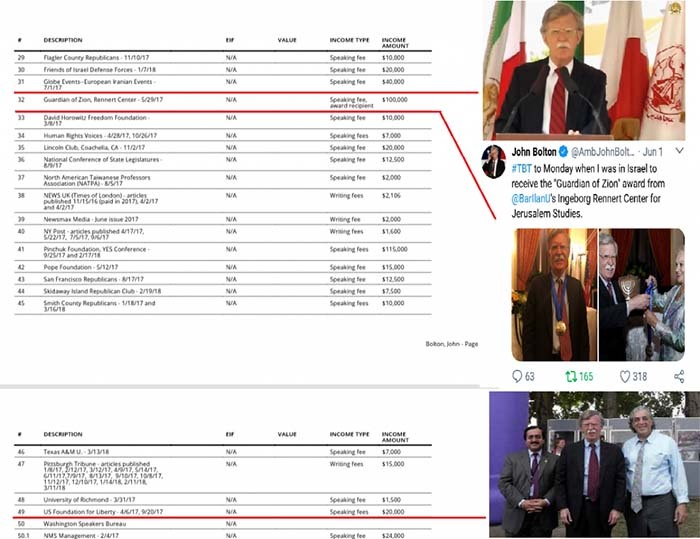 At the MEK meeting in June, Former House Speaker Newt Gingrich described it as a “movement for freedom, equal rights and democracy.” And former Italian Foreign Minister Giulio Terzi sees them as the “most credible democratic alternative” and the “natural ally” of the West. The fact is that the MEK, with its thousands of dedicated supporters, is the most active Iranian opposition group and has gained hundreds of supporters in decades of lobbying in Western parliaments. The fact is, however, that the group is highly controversial among exiled Iranians. For many, their commitment to democracy and human rights seems untrustworthy after alliance with Saddam Hussein. And even the pronounced leadership cult around the Rajavis makes many doubt on their democratic views. When the MEK withdrew to their Camp Ashraf in Iraq after the failed offensive in 1988, Massud Rajavi ordered an “ideological revolution” in which all members committed to celibacy. While the children were sent to MEK families in Europe, the couples divorced to devote themselves to the fight. All love should be with Massud and his wife Maryam Rajavi alone, who was elected president in 1993 and leads the group since the disappearance of her husband in 2003. According to the historian Ervand Abrahamian and other critics, since the “ideological revolution” the MEK has become more and more a political sect. Defectors report that they had to confess their sexual dreams and thoughts in public sessions. In the camps strict gender separation prevailed, friendships or personal conversations were forbidden, the use of radio, newspaper and television also. In 2005, Human Rights Watch also documented in a report how dissatisfied members were massively pressured and sometimes imprisoned and tortured for years. The MEK categorically reject these allegations to date and refer to critics as Iranian agents. 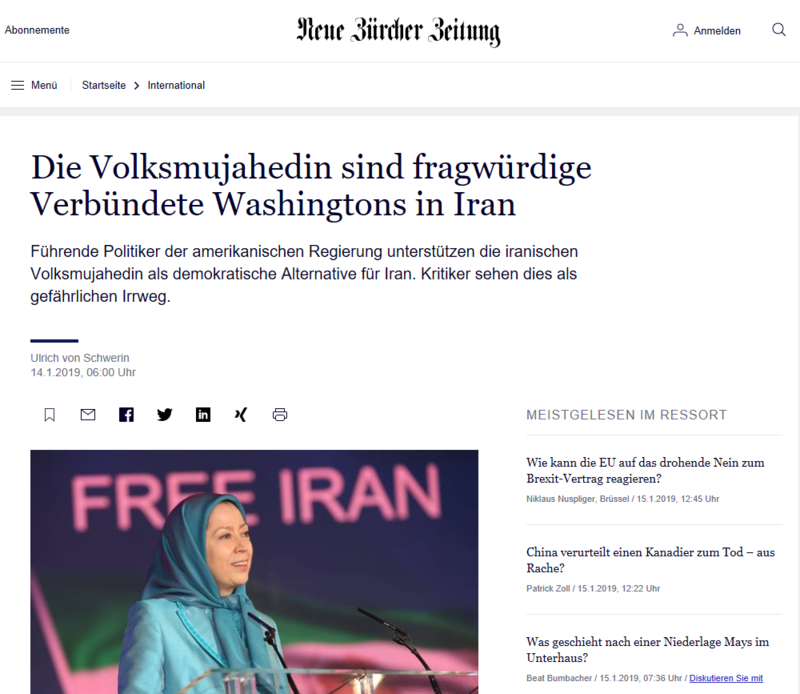 Even Western media who critically report on the MEK are defamed as henchmen of Tehran. Instead of addressing critical questions about their own past, the MEK say they have been victims of a lying campaign, accusing critics of supporting the brutal persecution by the Iranian intelligence service, which recently planned for attacks on the MEK assembly in Paris and the MEK camp in Albania . The People’s Mojahedin had moved to the camp northwest of Tirana as their situation in Iraq had become intolerable. After the US invasion of Iraq in 2003, the group, then listed by the US as a terrorist organization, had been arrested and disarmed, so it had to give up the armed resistance. In the following years, their camp was repeatedly under attack by pro-Iranian militias, until the last 3,000 MEK fighters in 2013 could finally be transferred to the United States mediation to Albania. According to media reports, the sect-like character of the MEK in Albania has changed little, but videos of MEK devotees in their same-color headscarves, chanting rhythmically clapping slogans, do not indicate a change. According to a report by al-Jazeera, the group from the camp runs several fake accounts on Twitter to influence the discourse on Iran. So MEK trolls would spread videos of protests in Iran and attack defenders of a moderate policy against Tehran. The Federal Government, however, sees evidence that the MEK tries to prevent external contacts of its members. In her response to a Greens’ request in September, she described the People’s Mojahedin as an “authoritarian-led” opposition group that, since its creation, has “considered the use of force as a legitimate means of achieving its goals.” The “authoritarian nature” and the “persistent personality cult” around Maryam Rajavi would give rise to doubts about her devotion to democracy and human rights. For the FDP member of the Bundestag Bijan Djir-Sarai, it is “a mistake, if politicians in the West campaign for a group that has no support in Iran.” The support for the Mujahedin in Germany was “a mystery” to him, and considers it “insane” when German politicians committed themselves without full knowledge of the background of such groups abroad. “A commitment to the People’s Mujahedin is sheer stupidity. I would urge all supporters to engage with their story, “says Djir-Sarai. 2019/01/07 Were the Iranians really ready to carry out an attack in Europe?